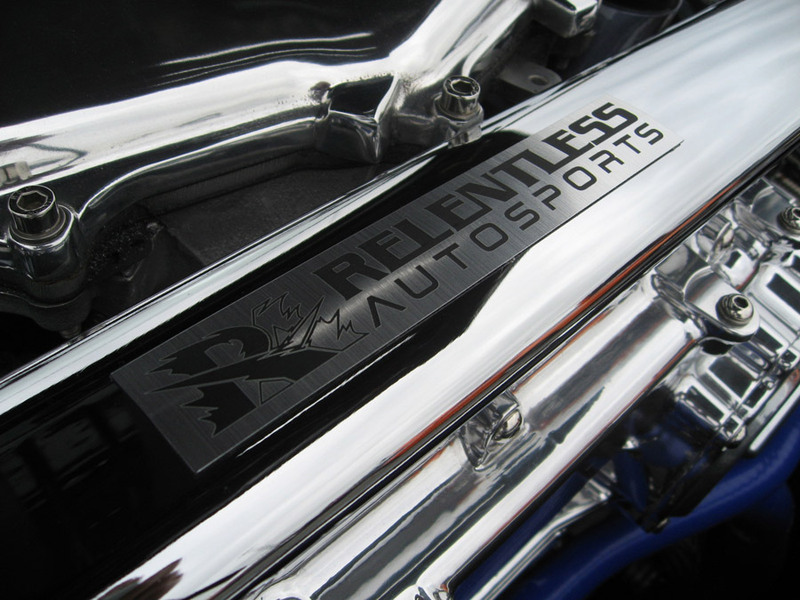 Now available through Relentless Autosports is a “must have” addition to any car, whether it be a fully equipped track monster, a daily driven road commander, or a head turning show car. 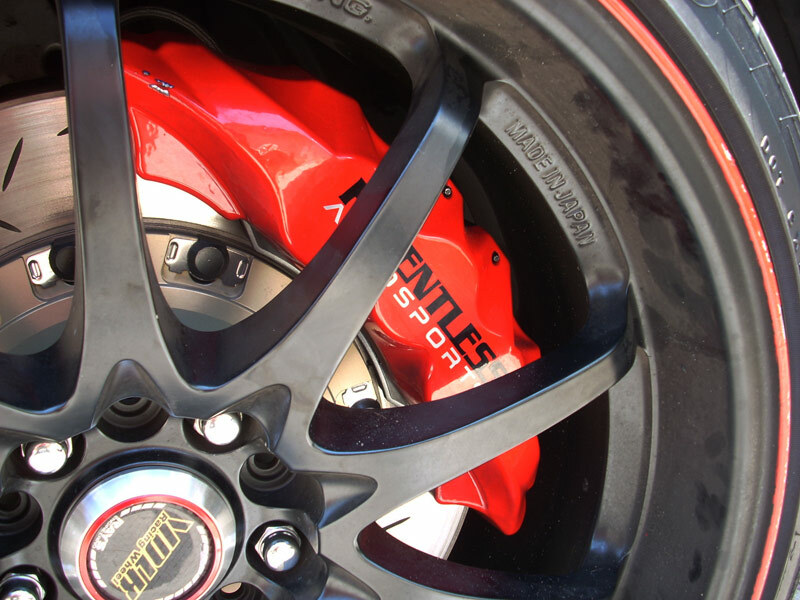 These are the brakes for you. 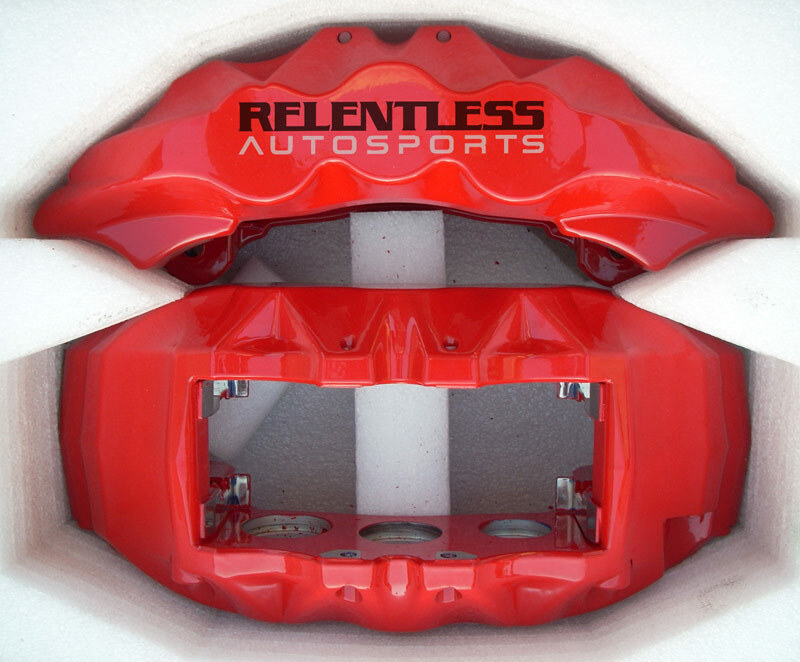 Relentless Autosports is very proud to announce the worlds first front strut tower brace ever produced for the Infiniti G35’s version of the popular Nissan/ Infiniti front mid-ship designed series of chassis. 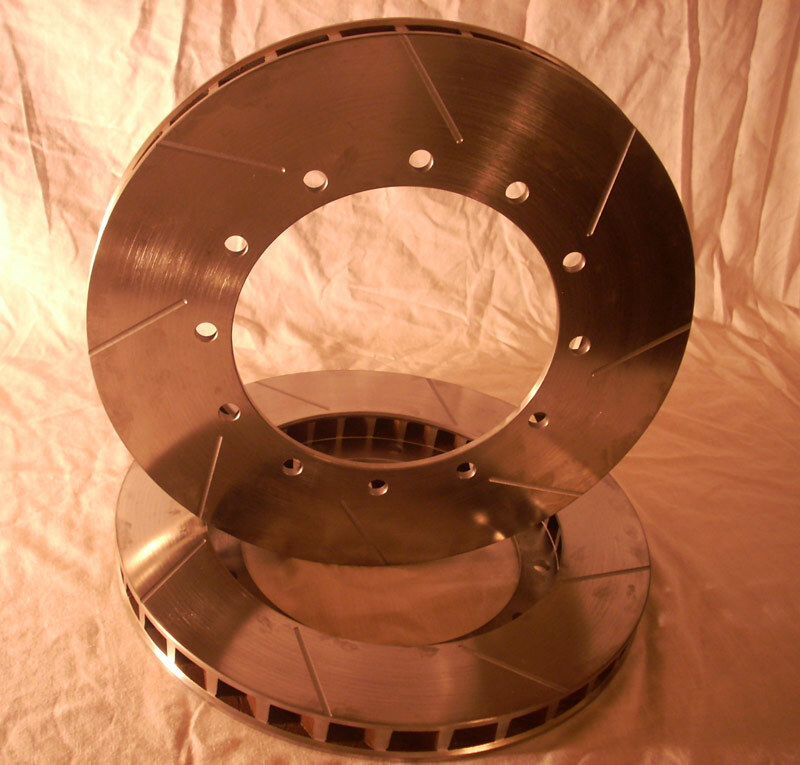 Countless hours of engineering, design concepts, and product testing has gone into designing this one of a kind front strut tower brace that is not only practical for daily driving, but also has been proven to easily handle the rigorous track testing that our race teams and customers have put it through. 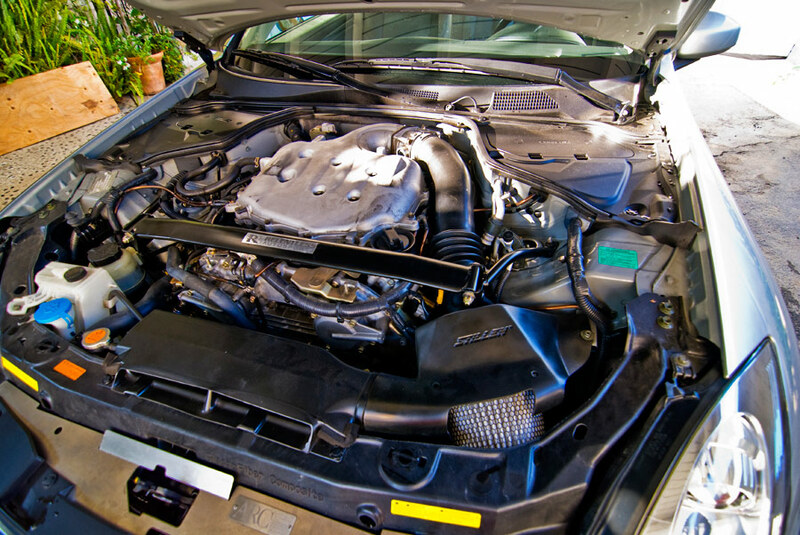 There simply is no front strut tower brace available for these cars that is near as functional at eliminating the inherent chassis and suspension deflections that these cars experience from the factory. Because of our tri-point design, the 4130 chromoly and grade 8 hardware used in constructing this brace, it all but completely eliminates front upper body and chassis flex. 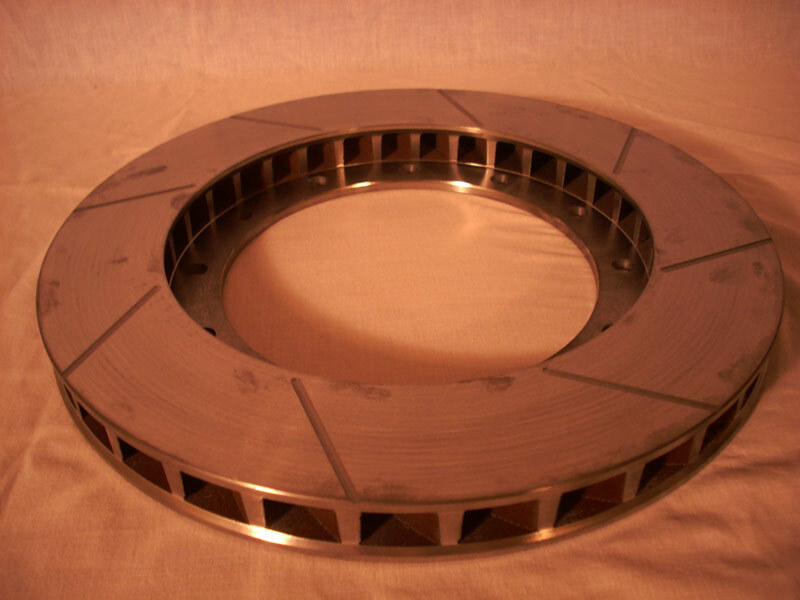 There simply is no better product on the market at aiding in the front mid-ship chassis’s torsional rigidity. These RA Front Strut Tower Braces work so well by not only using the best of materials (unlike our competitors), but these braces also incorporate not only the top of the shock towers, but also the front upper control arm pivot point to help tie in the suspension together as a whole. This allows the chassis and suspension to be consistently held in place under any cornering load you may encounter and allows the front suspension to be more precise…. Resulting in a more control, more consistency, and a more confidence inspiring feeling. 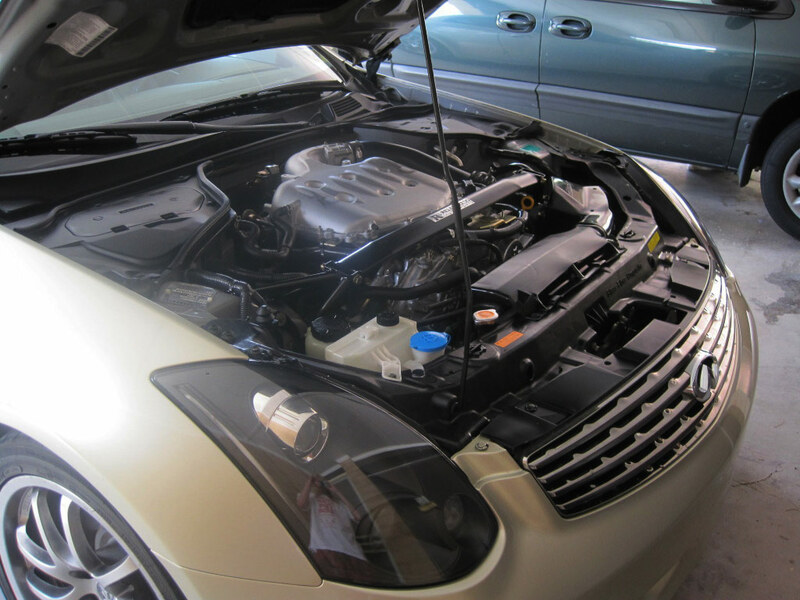 RA Front Strut Towers Braces are the only ones made to work with any VQ35 plenum and plenum spacer modifications you may have as well as with stock or any aftermarket suspension set ups. 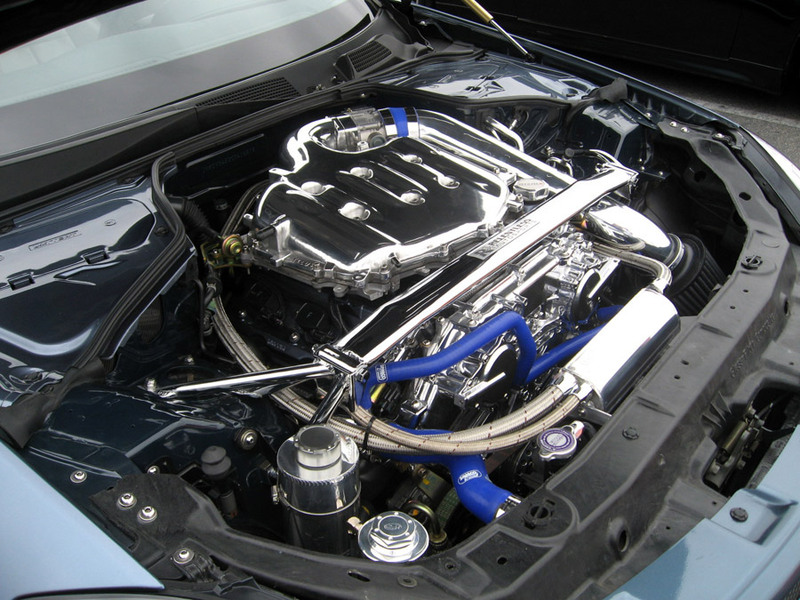 There is also versions available to accommodate most any cold air intakes and any form of forced induction kits (supercharger or turbo kits) available, Including but not limited to JWT twin turbo kit, Greddy twin turbo kit, APS twin turbo kit, Vortech superchargers, Stillen superchargers, and many more. Like all of our products. 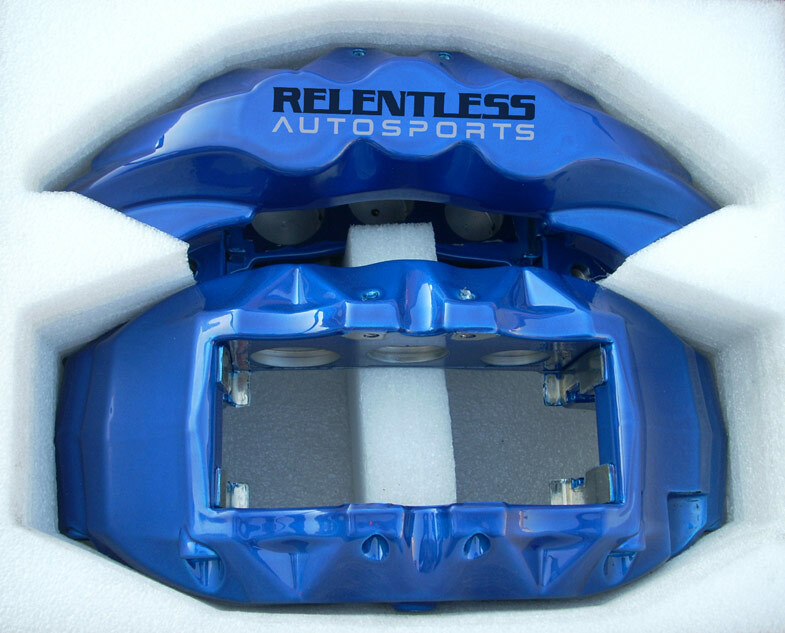 the Relentless Autosports designed front strut tower braces come with installation instructions, all necessary hardware, and carry a lifetime replacement guarantee against any defects. Call with any questions or to order.